Aya Knight was born in South Florida, where she spent the majority of her childhood. 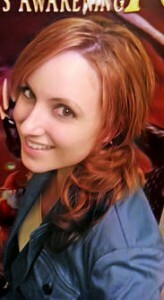 At a young age she developed a strong passion for fantasy and a love of writing.Through movies, books and video/computer games she would escape into an alternate reality filled with adventure, magic and epic quests. As Aya entered adulthood, she expressed her enjoyment of writing through becoming a freelance journalist. She wrote about a broad variety of topics that gave her a brighter insight of the world. Eventually a story began to develop within her mind involving characters she immediately grew attached to. Aya knew that she needed to compile her thoughts onto paper. She grew so intrigued with the evolving storyline that she placed all hopes within the hands of her imagination, leaving journalism behind. Aya now works as a full-time novelist, where she continues to pursue her passion. In addition, Aya is also CEO of Silver Knight Publishing. A traditional publisher of quality books. 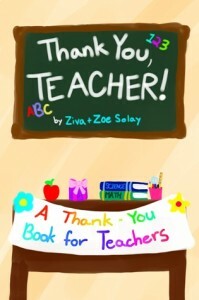 Aya is a bestselling, award-winning author. 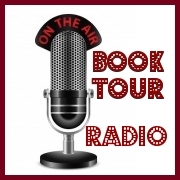 Tell us about your book? What inspired you to write it? 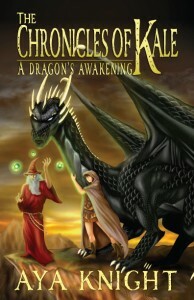 The Chronicles of Kale: A Dragon’s Awakening is the first in a series of three. It’s the story of a young dragon, who despises human-kind. Through a twist of events he finds himself turned into one of us, and then thrown into our world—completely out of his element. It’s his story as he tries to return to the life he once knew, while embarking upon a whirlwind adventure along the way. I’ve always enjoyed the fantasy genre. I think it just offers such a great escape from reality, into worlds where fantastic things are possible. I was inspired to write a long time ago, during my days hearing my father tell bedtime stories and creating wild Dungeons & Dragons campaigns. In my 20’s, the idea behind ‘Kale’ pressed on my mind, and a world began to develop. I knew that I had to get these thoughts onto paper—and thus, The Chronicles of Kale was ‘born’. Have you always enjoyed writing? Absolutely. I think it’s deeply ingrained as a part of me. There’s just something about being able to create vast worlds, through the power of words. You become the puppet-master in your own universe—where the possibilities are boundless. I’ve scribbled stories on paper since I was much younger. 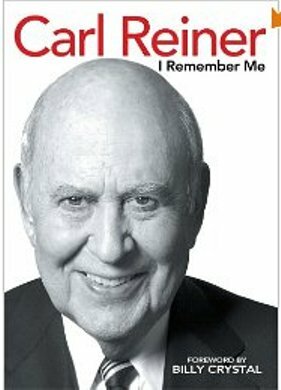 How did writing this book help you? A lot happened during progress on the first novel. There were highs, and deep lows. I think that funneling emotion into the manuscript not only helped me cope with things happening, but also brought the characters to life—their trials, emotions, and hardships became real, in a sense. Though the story is fiction, there are aspects that were taken from my life, on an emotional level, and funneled into the book. For example, Illadar coping with the loss of a loved one was channeled from my own loss of a relative. It was a way that I could release inner feelings that I otherwise wouldn’t speak of. What’s next? Is there something you’re working on now? Most definitely! I’m not sure if I’ll ever leave writing behind. Now that The Chronicles of Kale trilogy has come to a close, I am working on a couple of other projects. A young-adult apocalyptic novel is in the works, as well as (without revealing too much) a stand-alone novel that plays upon Kale’s world. What do you hope readers will “take away” from reading your book? I hope they will finish having felt that they’ve just taken a vacation from reality; that they’ve joined the characters on the adventure of a lifetime. I want it to be a fun and enjoyable read that offers a break from daily stresses. My hopes are that the ‘world’ doesn’t just appear on paper to them, but in their minds, as they are immersed within an alternate reality. What advice would you give to other Indie Writers or those who dream of writing a book? I would definitely say to push yourself. If you have a passion to write, you absolutely must give it your all. Make it a point to write a little every day—even if it’s only a sentence or two. It keeps you moving forward and engaged in the work. Even on days when it might seem difficult to bring yourself to sit and scribble a few lines, I feel it’s important to keep working towards the end. If you need inspiration, read other books. It’s a great way to see how others interpret things, and can help improve literary abilities. Many centuries ago, the great Oracle foretold of a Prophesy. 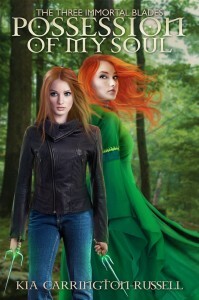 To save the worlds of man and magic, twin girls of Fire and Earth must marry twin boys of Water and Air. those of mankind she must marry Alec Kincaid, the Warlord of the Legion of the Ice Warriors … and the man of her dreams. Alec has been trained all his life to fight and lead his men into battles that he has never lost. He has been with hundreds of women, and not for conversational purposes. Marrying a Fairy Princess was not in his plans, prophesy be damned. Alanna believes with her whole heart and soul that Fire unites with Water. Can the Fairy Princess melt the Ice Warrior’s frozen heart? Let the battle begin! Some say that in the city of Orlyn, godhood is on sale to the highest bidder. Thousands flock to the city each year, hoping for a chance at immortality. Lydia Hastings is a knowledge sorcerer, capable of extracting information from anything she touches. When she travels to Orlyn to validate the claims of the local faith, she discovers a conspiracy that could lead to a war between the world’s three greatest powers. At the focal point is a prisoner who bears a striking resemblance to the long-missing leader of the pantheon she worships. Rescuing the prisoner would require risking her carefully cultivated cover – but his execution could mean the end of everything Lydia holds dear. Andrew Rowe is a professional game designer for Obsidian Entertainment. 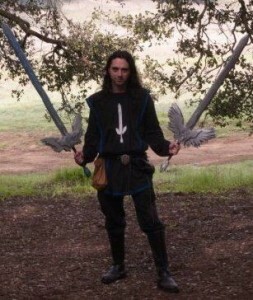 When he’s not crunching numbers for game balance, he runs Shades of Venaya, a swords and sorcery themed live-action role-playing game. In addition, he writes for pen and paper role-playing games. Aside from game design and writing, Andrew watches a lot of anime, reads a metric ton of fantasy books, and plays every role-playing game he can get his hands on. See other books by Tim. For eight years war raged between the armies of King Traden of Garmundland, convert to the Church of the Holy Family, and those united with the Holy Church of Nasir, the one true god. Victory was in the Nasirians’ grasp as they lay siege to the pagan city of Silverwic. The cannon were in place to begin the final assault. That’s when the Sarbarah, a race of slavers, entered the war. The “goat-men,” who once enslaved the human race for thousands of years, threatened to reconquer the lands they had lost. Now a devout priestess, a war-weary soldier, and a devoted father must join forces to stop an alliance between the Sarbarah and a corrupt cardinal. Can the faithful of both religions unite in the face of this new threat to humanity? If you love wizards and magic Grab This! 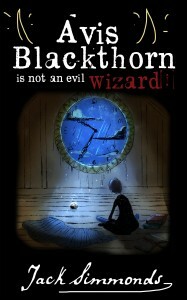 Avis Blackthorn Is Not an Evil Wizard! Avis Blackthorn’s family is the most evil family in all of the Seven Magical Kingdoms. The problem? Avis isn’t evil. Not one bit. His magical wizarding family will do anything to make Avis’s life a misery. Even the horses that pull the carriages don’t like him. But he has a way out at last… “Hailing Hall School for Wizards,” a sanctuary, a place for good wizards, where he can make some nice, normal friends, learn magic and live a normal life, finally escaping the notoriety of the Blackthorn name… or so he thinks. 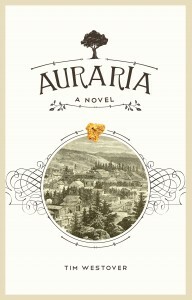 That’s where the real adventure—humorous, haunting and mysterious—begins. Come along with Avis as he tries desperately to prove he isn’t evil like his family. And join tall, thin, be-speckled Robin and accident prone Hunter, Avis’s friends from the Outside—the same world as yours in fact—as they discover Wizard’s Spider Soap, the wizarding sport of Riptide and even the ghosts that do the laundry! Of course, in a magic school full of teenage wizards there will always be drama. But stranger things are brewing and Avis finds himself at the centre of it. After spotting Malakai—the most evil Sorcerer around and his parents employer—coming into the school in the dead of night. Avis wonders why? And why will no one believe him? The mysterious, beautiful Tina might know why. When Avis and Robin spot her creeping round in the dead of night, she tells them about the quest and a thrilling mystery unfolds. Avis has to make a big choice to make — his friends, or his family, and the choice… might just kill him. Perfect for children, teen and young adults alike, this book will inspire, entertain and enthrall. If you love books like Harry Potter, you will love this! Click buy now to read on and discover the magical fantasy world of Avis Blackthorn! The series moves between the physical and metaphysical worlds, as well as present day and ancient civilization. 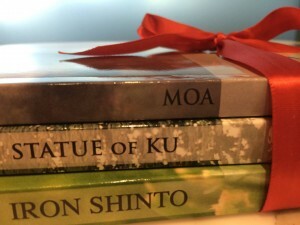 “Moa” takes place in Hawaii, “Statue of Ku” in Egypt and “Iron Shinto” in Japan. Details and daily life experiences enrich true to life stories and legends. Mortals remember immortality and immortals become human. The lessons learned go beyond the physical world and illustrate that spirits must unravel mysteries, too, and that humans are can possess powers far beyond the spirit world. Forget all that you know. Remember everything else. Hillary, her sister, Molly, and niece, Heidi, have each lost themselves literally. After saving the Hawaiian Islands with Moa and discovering the Statue of Ku in Egypt, a malevolent force has separated them from their physical bodies, transporting them to an ethereal location, one in which a thought can be manifested in an instant and all actions are illusory. In this timeless space, they will lose themselves, find themselves and, in the process discover a universal secret of immortality. Tricia Stewart Shiu is an award-winning screenwriter, author, and playwright, but her passion lies in crafting mystical stories. A creative spirit from a young age, she experimented with acting and wrote one-woman shows and plays. She produced a short performance piece called Doing Lunch which made its way into a short film trilogy directed by Hal Trussel. That film won “Best Dramatic Short” at the Houston Film Festival in 1993. The author is also a spiritualist and metaphysical adept. 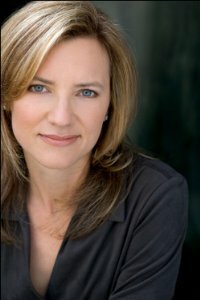 She has studied mediumship, pagan and Huna rituals, as well as an energy healing method called “Crystalline Consciousness Technique.” She also studied a variety of shamanic clearing methods and healing rituals. She creates her own line of healing essential oils and elixir sprays. Shiu’s Moa series – Moa, The Statue of Ku, and Iron Shinto – sparked by her firsthand encounter with an ancient Hawaiian spirit, takes readers on a journey of exploration through her world of spiritual healing. Each chapter of the books begins with a meditative ritual that pertains to that chapter. The rituals from the first book have been published in both eBook and audio form as The Gatekeeper’s Guide to Ancient Essential Oils and Rituals. And a lust for power. Twenty years have passed since the disappearance of Silva’s father, Zossimo. 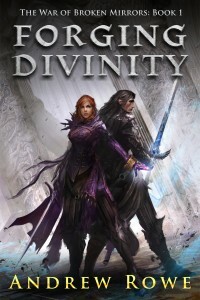 When Silva visits the sanctuary in Yewlith, she becomes convinced there is more to her father’s demise than she knows. Her quest to solve the mystery of Zossimo’s fate unravels a tale of thwarted ambition, murderous betrayal – and loyal friendship – among humans and trees alike. For evil stirs on this island, where man and tree have lived in harmony for centuries. At the Albatorium in Southernwood City, Legator Wystan calls an emergency meeting of the Session. The island’s trees are in danger; a convicted murderer has escaped; the citizens of Southernwood are out on the streets in protest. Challenged by his brother, Bassan, Wystan is ousted from power and the Session vote for a new Legator. But the election result comes as a shock to everyone. 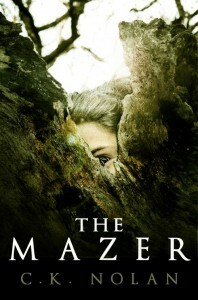 Escape to the world of The Mazer – an unforgettable tale of an island, its people and trees, and the secret that binds them all together! 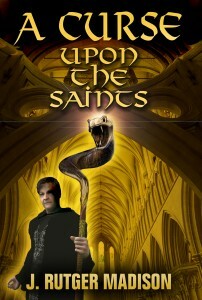 A fun yet thought-provoking read that will delight older kids, teens, and adults who love a page-turning fantasy story. Possession of My Soul The Three Immortal Blades is a captivating story about Karla Grey, an ordinary young woman struggling with a unique ability. Karla is a Shielder; an exceptional fighter born with the rare ability to project a shield for protection. However, Shielders are not the only kind that possesses such a talent. The Shielders battle a war that has been raging for centuries against the Starkorfs, who endeavor to harvest humans and Shielders alike to obtain immortality and power. Amidst the chaos of war and death that surrounds her, Karla must also confront the charming Elemental Breathers. Powerful and volatile, the mysterious Elemental Breathers are quick to conjure up the element they inherited power over at birth. Unfortunately for the Shielders, the Elemental Breathers also have at their disposal a depth of knowledge unmatched by any living being, making them indispensable to the Shielders in their quest for truth. Whilst engaged in battle Karla begins to hear a woman’s voice echo in her head and throughout her dreams. Karla faces many new and daunting challenges while simultaneously searching for a reason as to why the unknown woman seeks to possess her body. Karla must unravel the purpose of her curse. Finding herself embroiled in a bitter war armed with a talent she has yet to gain control over, she fights to find a way to end it all. But first she must learn to never let her shield down. The woman manipulating her thoughts may be dormant for now but she has every intention of possessing Karla. Mind, body, and soul. Karla must choose between right and wrong: the charming Lucas and the selfless Paul, death and life, lies and truth. Within this new reality the search for the Three Immortal Blades starts. Kia Carrington-Russell is a young author working on her first series: “The Three Immortal Blades”. Kia began writing at the age of fifteen in high school- finding that all her warped and strange dreams were giving her a fantastic new world- and since then she has never looked back. Kia was born in a small town in Australia, moving around a lot at a young age until finding a stable town where she finished her schooling. Kia found herself enjoying and expressing herself through poetry, short stories and writing, photography, painting and drawing. All these mediums help Kia express the different world that she is so fond of. In ‘Senior Art’ Kia focused on feminism and female empowerment; exposing through her work issues and concerns that many people would rather just “sweep under the rug”. In one art installation, Kia made a bed out of Pokémon cards- the concept being that when she slept a new world would come to life and it was the only one she saw and constantly lived in. Kia now focuses on her photography, writing and self-help blogs on her website: ‘Precious Living’. Kia is now keenly working on “The Three Immortal Blades” series knowing that this book has to be shared with the world and that is what she aims to do now. Kia writes in her Australian home, trying to focus at times on simply what is running through her head, as her cats either terrorize her legs as scratching posts or her puppy barks in her ear for play-time. 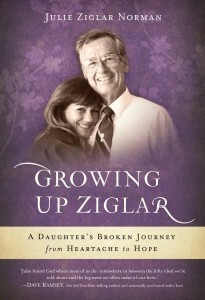 And as she continues her series, they grow with her book. Kia is strongly supported by her friends and family and thanks them dearly for being with her along the bumpy road and nothing would please her more than having your support as well.